I'll make this a pinned post once it gets going so the archive is quick and easy to access. Fringe-eared oryx at Tarangire National Park, September 1995. Back then, you could count on seeing fringe-eared oryx on just about every drive. Nowadays, they are pretty much absent from the northern side of the park (previously a stronghold) and very rare everywhere else. First Elephant, Zebra, Giraffe and Lion all from the same trip. I guess with luck and a fair wind the elephant might still be going. 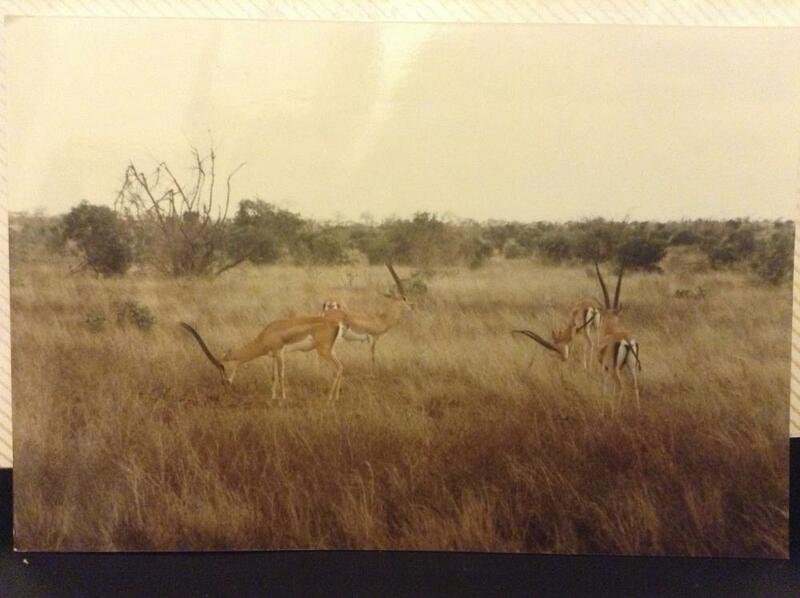 ....Peter's Gazelles, a sub species of Grants and before anyone thinks I've swallowed a Mammals of East Africa book. All credit to @@Safaridude who spared my blushes with a PM. Back then I was too young to know any better and now I'm too old to remember. Well, thats my story and I'm sticking to it. This pair were mating as we drove up. 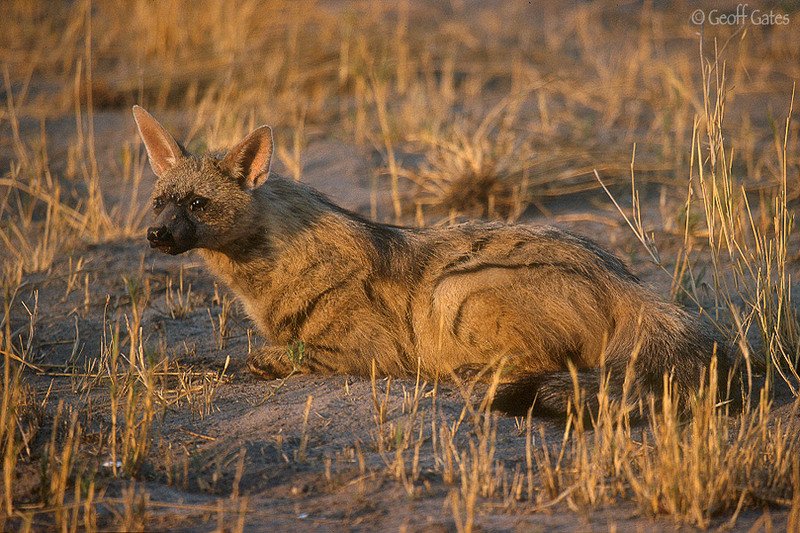 It's the only time I've seen aardwolf during daylight hours. My 1st ever wilddog sighting. 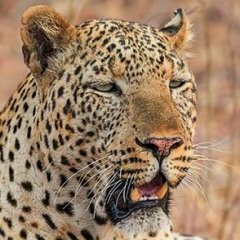 @@Geoff - may I request for you to post some of the 3 cheetah brothers from Selinda/Kwando/Savuti from their early days, please? Selinda, Botswana. I think this is 2002. Another low res scan from slide. Apologies for the quality, contrast looks a bit much to me. 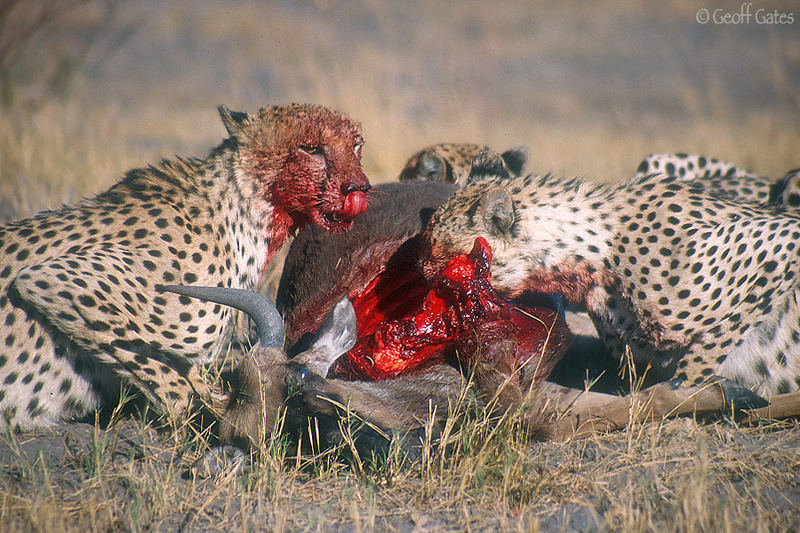 Here is the rest of the kill sequence from Chobe, Botswana in 1993 (mentioned above). I used a Kodak Ektachrome product on that trip. The film came out about a week before my trip began. It was advertised as the sharpest film to date. As you can see though, the colors are ghastly!!! The product was taken off the market in less than a year. I can't remember the precise name of the film. Great photos and memories! 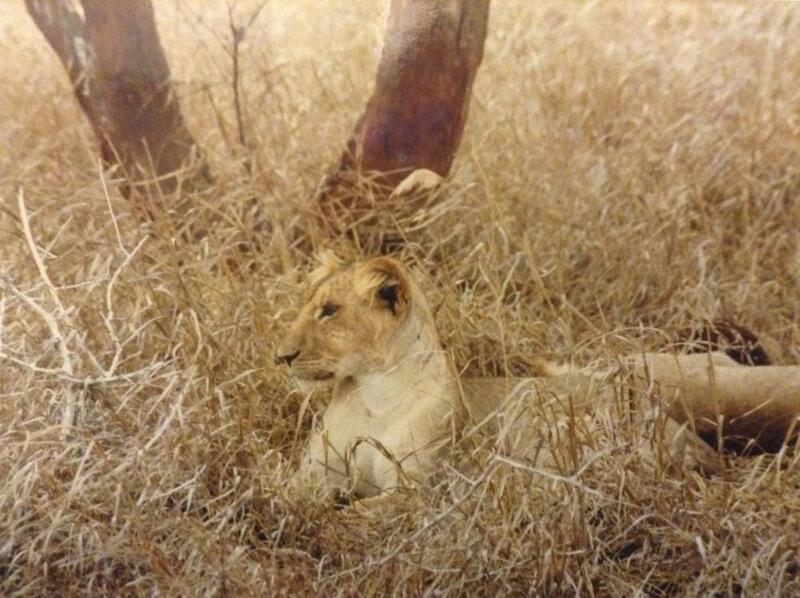 I need to dig out some photos from Kruger which I took back in 92... who knows where they are here in the HQ. More of Mombo's Steroid Boys (August 1997)… this is on the way to the airstrip on our last day at Mombo Camp. We had just heard that Princess Diane had died in an accident (camp manager told us). @@Safaridude - Wow ....... 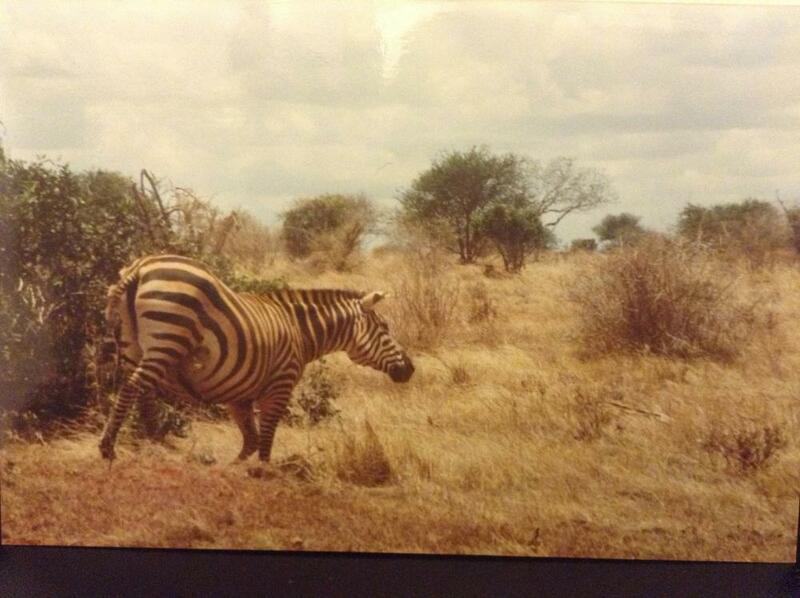 I wonder what Duba Plains was like in 1993? 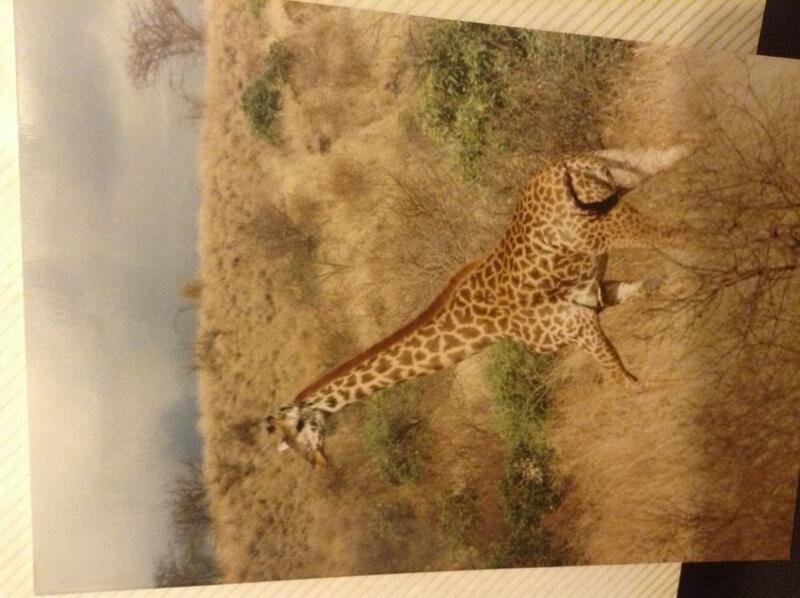 @@Safaridude You certainly took great photos back in 93... aside from the slide film, what kit were you using back then? Don't know about Duba, but Mombo was phenomenal. I saw 13 different cheetahs in 3 days, by far the densest cheetah environs I've ever been in. There was a pack of 30+ dogs denning every year there. 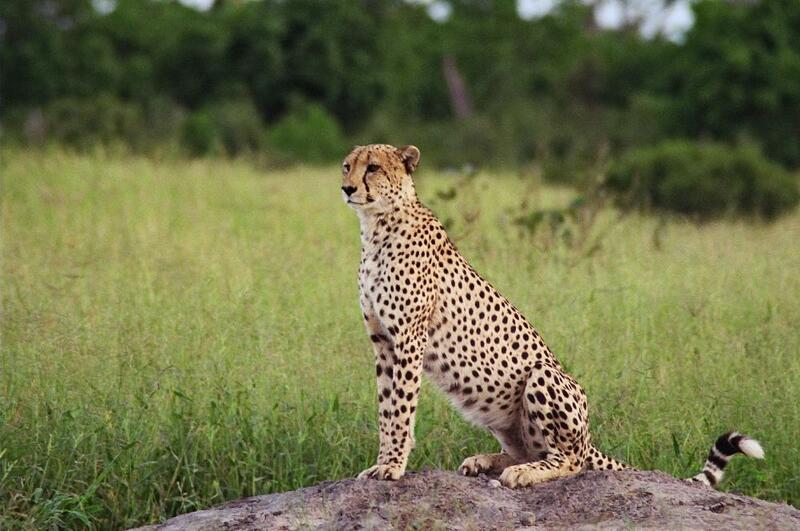 But 1997 was one of the last good years for cheetah and wild dog at Mombo. Lions, lions, and more lions were coming into Mombo from everywhere. The guides were commenting on that in August of 1997. We, in fact, saw two new intruders on our last day. We never saw the dogs, as they were already vacating their traditional territory. The hydrology of the Delta was changing (as it always does), some channels dried up, some channels flooded, perhaps opening the way for lion intruders to infiltrate Mombo. 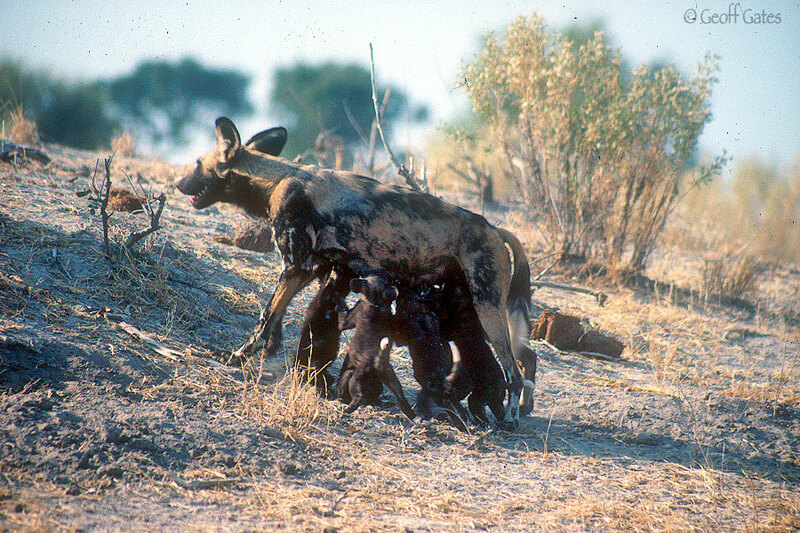 I believe 1998 or somewhere around there was the last time that pack of 30+ dogs denned at Mombo. 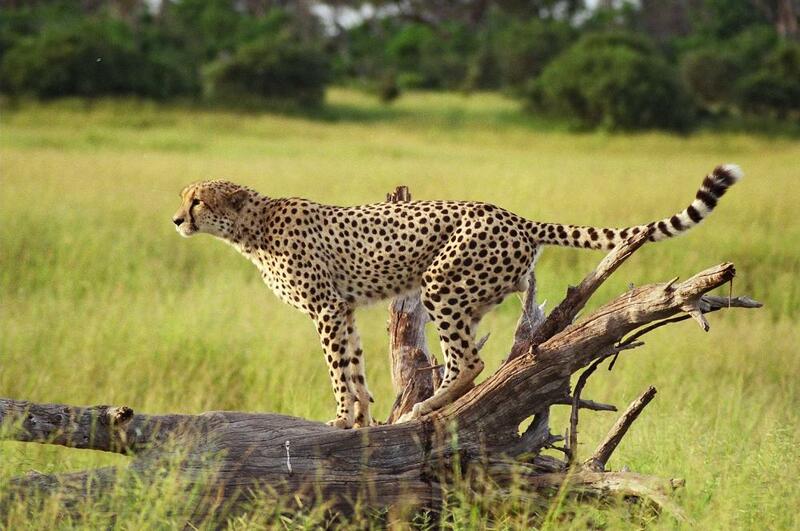 Soon, the cheetahs disappeared too. Just lions, lions, lions. Of course, this is just ebb and flow. Before Wilderness took Mombo as a concession, people used to hunt sitatunga at Mombo (it was very wet). Then a very dry regime took over the Delta. The area may be due for a long wet regime… who knows? Back then: 300mm/2.8 with a 2x; 200mm/2.8; 24-70mm/??? I don't recall exactly. From when I began shooting in 1989, I had two different film camera bodies. One of them was a Canon EOS A2E, but I don't know when I used it. Wow - Thanks for posting, @@Safaridude ....... Excellent!!! 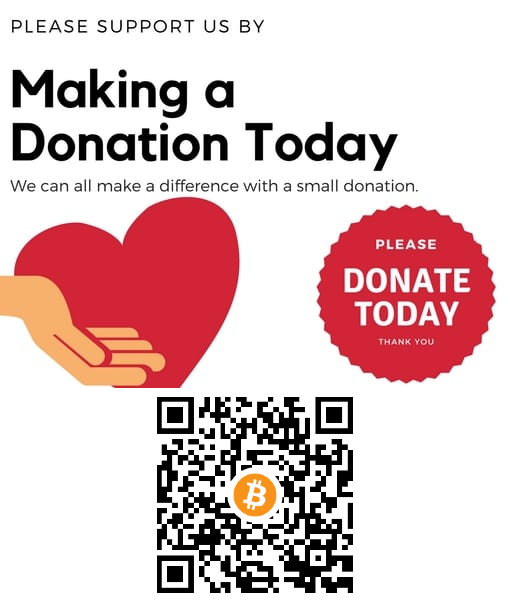 Great thread, with super contributions, everybody ... please keep it coming! I've got plenty of stuff on slides and even prints but i do not have a scanner. The few images I've shown were scanned by a friend years ago. 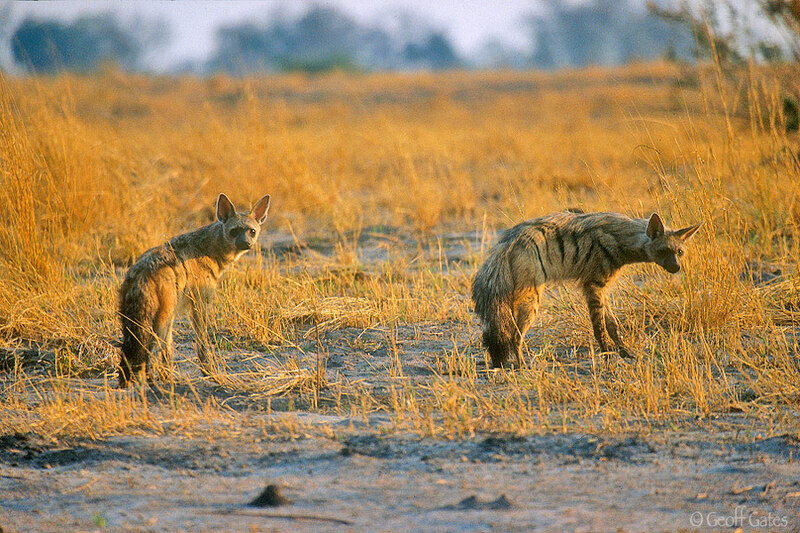 Whilst rummaging around searching I found another Aardwolf image taken at the same sighting (post #8). As I recall this poor individual was blind in their right eye. Talking of Malawi, I've just submitted an interview to Chris Badger of Central African Wilderness Safaris - it should make an interesting read, especially for those of us unfamiliar with the country. 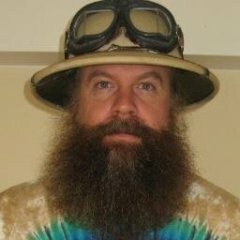 God this thread is awesome. 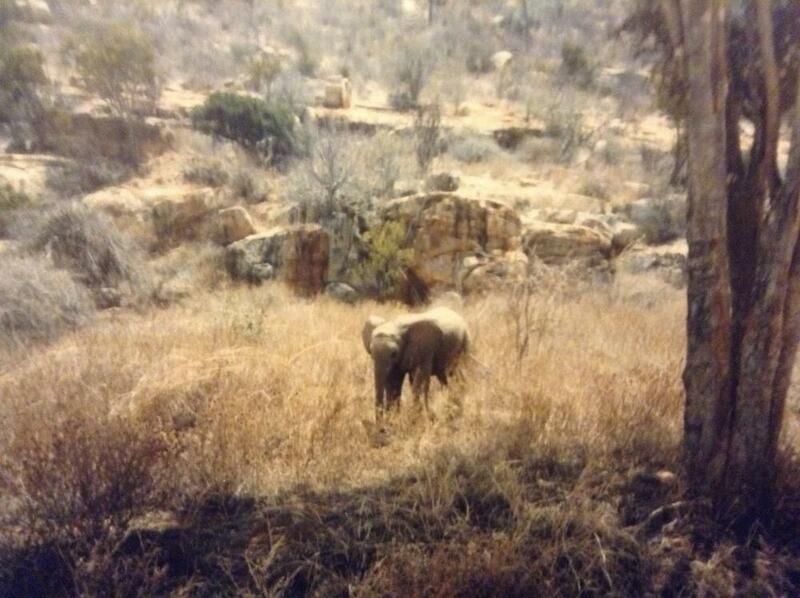 Particularly loving the vintage Selinda shots Geoff, and very cool some of you have the Steroid Boys! Lovely to see. I love all these old film shots because the colours and so on are what I remember from all those old coffee table books I loved, and on gallery walls. These were the colours of Africa before I actually saw it. It's funny I feel like that because I don't really have nostalgic feelings for film in general.